Recently I had the pleasure of traveling to the Poconos to photograph these two love birds' engagement session. 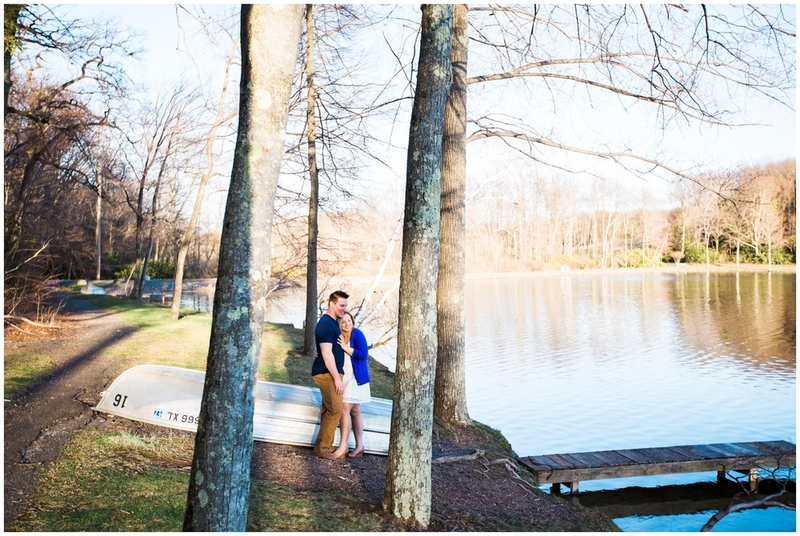 The session took place at The Lodge at Mountain Springs Lake Resort where these two will be "tying the knot" in September. I got a tour of the beautiful venue, and now I can not wait for Darrah and Patrick's wedding! It has a beautiful outdoor ceremony area surrounded by wooded pines, a gorgeous naturally lit reception hall, and miles of woods, open fields, and a lake! I got to learn a lot about Darrah and Patrick during their engagement session, most importantly, that they make a fantastic team. Darrah claimed to "struggle" with posing, which you can see is totally not true. However, Patrick was there to help guide her through the whole process. They made each other laugh throughout the entire session, which resulted in beautiful, genuine smiles for their engagement photos. I even learned that they do cross-fit 3 times a week together! Now that's team work! Besides being a great team, they taught me about rugby, a sport I previously knew nothing about. Both Darrah and Patrick played rugby in college (the same position even!) and it's what brought the two of them together. I learned that the number on the back of a rugby jersey represents a players position on the field. I always just assumed all athlete's jersey numbers were their favorite number because that's how we picked them when we were little... Nope! 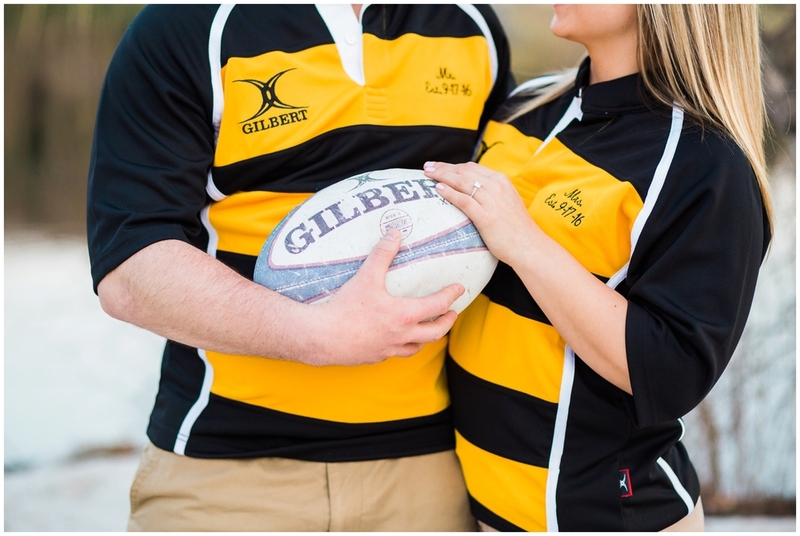 They had custom jerseys made for their engagement session with their last name, McDonald, and their position number, 2. The result is nothing short of adorable!